Angels & Demons - Bond with brains ! ~ Scorp's Say ....! After the great success of ‘Da Vinci Code’, Robert Langdon has become a household name among world movie fans, and among high expectations, ‘Angels & Demons’ released last week in India. 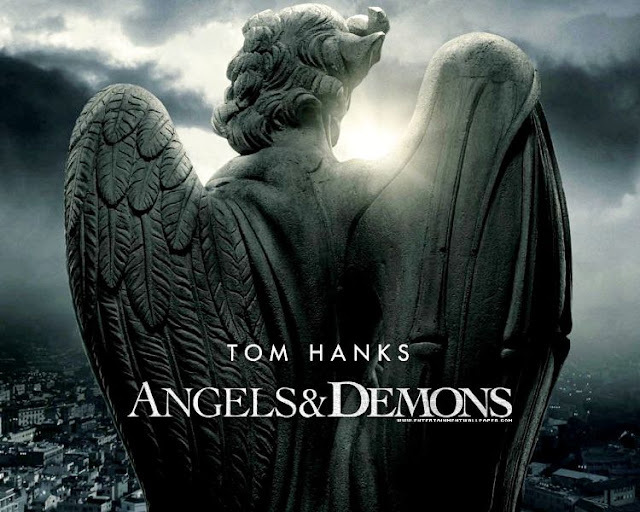 It features Tom Hanks as Robert Langdon, Ewan Mcgregor and Ayelet Zurer among the leading roles. The screenplay is by David Koepp & Akiva Goldsman. Now, Koepp is a fantastic writer who can influence the audience with his writing style. Examples: Mission Impossible, Jurassic Park, Spiderman, Snake Eyes, Panic room, Indiana Jones and the kingdom of crystal skulls and many more. One of the most talented writers of Hollywood. Ron Howard has directed this one too, as like Da Vinci Code. The novel Angels & Demons is a prequel to Da Vinci Code. This is the first ever Novel to feature Robert Langdon, the symbologist from the Harward University. Went to see this movie keeping in mind all these details. I have not read the novel, and hence was totally unaware about the story or the plot. The movie begins in a laboratory (CERN – Geneva). Something called antimatter – which contains a powerful magnetic field, which, when the batteries run out, can destroy the surroundings like a nuclear bomb. Three vials of this antimatter are stored in the laboratory and one vial is stolen suddenly, when the chief scientist Vittoria Vetra ( Ayelet Zurer) finds her father dead and his eye pulled out to break in to the storage area. We then cut to the Vatican where the Pope’s funeral is taking place. 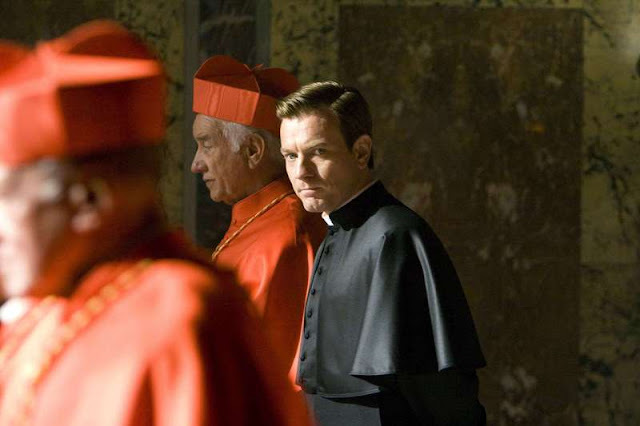 All the cardinals arrive to elect the next Pope and the everyday activities are taken care by Patrick Mckenna (Ewan Mcgregor), who holds the designation of a camerlengo – a cardinal under the Pope’s office to carry out the various religious ablutions. We see Robert Langdon approached by a representative of the Vatican. He tells Langdon that four cardinals have been kidnapped along with one vial of antimatter, and they have received a threat that one cardinal will be killed an hour, starting at 8 PM. Also, they have a video which shows the antimatter placed in a secret location, with the battery power slowly running out. When the entire power runs out, Vatican will be destroyed completely. Robert Langdon arrives at Vatican. 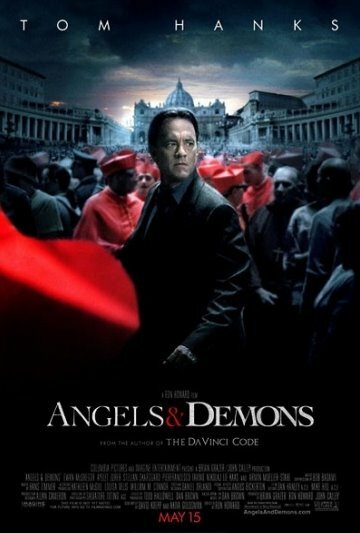 After hearing the recorded telephone threat, he finds out that a secret organization called ‘the Illuminati’ – which is about 400 years old – is responsible for the threat and he also discovers that each cardinal will be executed at one altar in the Vatican – the location unknown. With such a clue in his hand, he begins his journey of moving around Vatican to find out the four altars and to stop the killing and to find out the antimatter. This is the synopsis of the movie. Unlike Da Vinci Code, this movie is a bit lesser in pace and suspense, as it doesn’t have any startling revelations or any mysterious secrets being revealed. Having said that, the movie has its own touch of intricacies about Vatican and about the various churches and altars and about – yes – Galileo Galili’s book which contains the information about all the altars in his period. Tom Hanks has done justice to the role of Robert Langdon, as we hold his image when we read or talk about the symbologist, just like we think about Brosnan or Connery when we refer Bond. Also, somehow he fits in to the role with ease and they both have many similarities – just think about having Will Smith or Stallone as Langdon – and you will know what I am talking about. Tom Hanks and Langdon, both are like refined gentlemen who believe brain rather than in the gun. They both appear like they will solve any mystery which relates to working out with the mind and the brain. The new leading lady is Ayelet Zurer. She too has acted well, the type of female leads we see in action oriented movies – as a side kick to the protagonist who occasionally surprises him with her swift reactions and sudden deductions. Ewan Mcgregor – well, I was unable to recognize him in the movie at first look. He absolutely looked like a cardinal of Vatican with a tight face which reflects the responsibility he has been awarded with – the power to run the Pope’s office until a new one is elected. Nice piece of acting. But, half way through, his character becomes very predictable. Near the end of the movie, we know what’s going to happen finally. This reduces the pace to a certain extent. But, even then, this movie can be watched as a sheer entertainer we get to see usually in the summer. Overall, my rating will be 6.5 out of ten. See Robert Langdon work like a highly educated, decent Bond - bond with a Ph.D, and enjoy the show, folks! 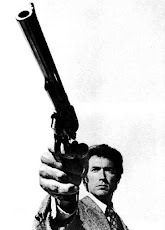 PS:- I was fascinated to read that Clint Eastwood expressed interest in directing this film! But eventually it had to be Ron Howard, as he did Da Vinci Code. Thanks for the Nice review. In fact, you were the one who has given the highest rating for this movie among some of my friends. However Good Ron Howard may be (Am a Big fan of His works), it would have been great to see How Clint eastwood would have made this movie. Wouldn't that be fascinating sight to watch? And, Tom Hanks has been my fav actor ever since i the green mile. Cheers and all the best for the Further reviews.